Coming up, our second chapter to Urban Explorer X YYC where we explore the beautiful newly developed East Village. With lots of new developments, this area has many new opportunities while preserving it's history. Come tag a long and see where Cathy and I will take you. What's URBAN EXPLORER X YYC? In this series, Cathy and I will hit up some of our favourite spots in the city and share it with you through our lense and creativity. What started off as a historical factory warehouse became something so vibrant after a restoration in 2008. 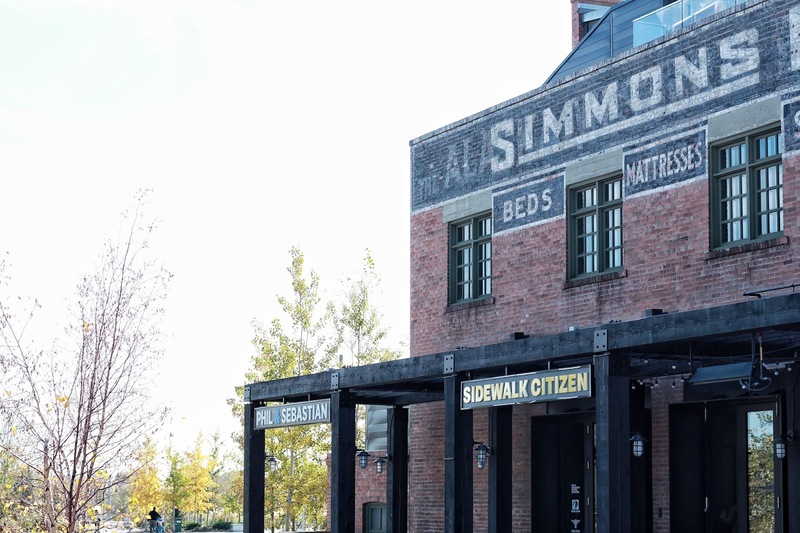 Situated along Riverwalk, Simmons is one of the best places to grab a coffee and enjoy the beautiful river view. Home to our local culinary gems, such as Phil + Sebastian Coffee Roasters, Sidewalk Citizen Bakery and Charbar, this beautiful landmark preserves lots of heritage and history while bringing in new urban spots to hangout. Opened in the summer of 2015, this 30-acre beautifully landscaped urban park is one of Calgary’s newest inner city attractions. Located in the middle of the Bow River, St. Patrick’s Island features remarkable views of downtown Calgary, a natural wetland habitat, picnic grove, amphitheater, playground, walking trails and plenty of trees. It’s a quiet oasis away from the hustle and bustle of the city life. Celebration Square, or C-square, is central urban plaza located on 4th Street and 7th Ave, close to the LRT line. The space is designed with a stretch of wooden benches and a series of aluminum fins, which illuminates as the train passes by and diminish as the train leaves the area. The innovation and motivation of this park is dynamic and ideal, making it a great centrepiece to the public. Its addition is made for the citizens to take a breather and enjoy the day, which we found to be a very nice touch to the community. 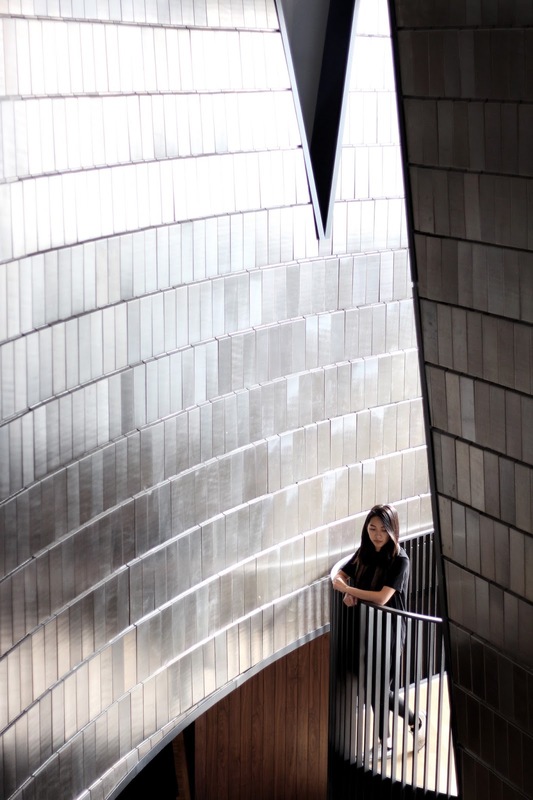 This 160000-sq-ft state-of-the-art facility is the newest cultural landmark for Calgary and Canada. 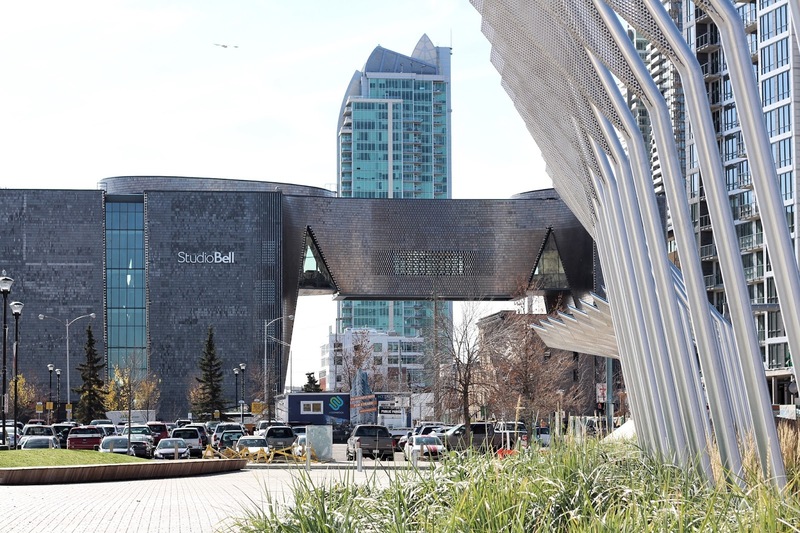 Studio Bell is many things: a performance hall, recording facility, broadcast studio, live music venue and museum, with a mission to connect visitors with Canada’s rich musical history. The cultural centre has a uniquely modern architectural design that’s worth nothing, which is inspired by musical instruments and western Canadian landscape (the Rocky Mountains and hoodoos in the badlands). The walls, lined with over 220,000 hand-painted terra cotta tiles, are concave and convex, and change colours as the natural light moves throughout the day. It’s well worth wandering through the space, soaking up the atmosphere, and taking in the history behind Canadian music. Thank you for following us along this adventure, next stop Kensington!